Organized in 1956, Missouri Council of the Blind (MCB) is the state of Missouri's largest consumer based assistance organization. MCB and its affiliates are active members of the American Council of the Blind. With the help of our approximately 700 members, MCB works for causes that affect people who are visually impaired and strives to improve their quality of life. MCB assists people with several degrees of vision loss: Totally blind-no usable vision, Legally blind-visual acuity of 20/200 or less with corrective lens, or field of vision limited to 20 degrees or less, or progressive eye disease which will lead to severe vision loss. MCB offers educational scholarships, health benefits, summer camps, special services program, public awareness programs, adaptive technology information and advocacies employment and legislation issues. MCB has 19 Local Affiliates providing support across the state to visually impaired Missourians. In addition, MCB’s 5 Special Interest Affiliates provide blind and low-vision persons with a variety of ways to learn, communicate, and to become more involved with our organization. These specialized interest affiliates include the Braille Revival League of Missouri, ATI (Adaptive Technology Inc.), Library Users of Missouri, Missouri Council of Citizens with Low Vision and the Missouri Guide Dog Users. 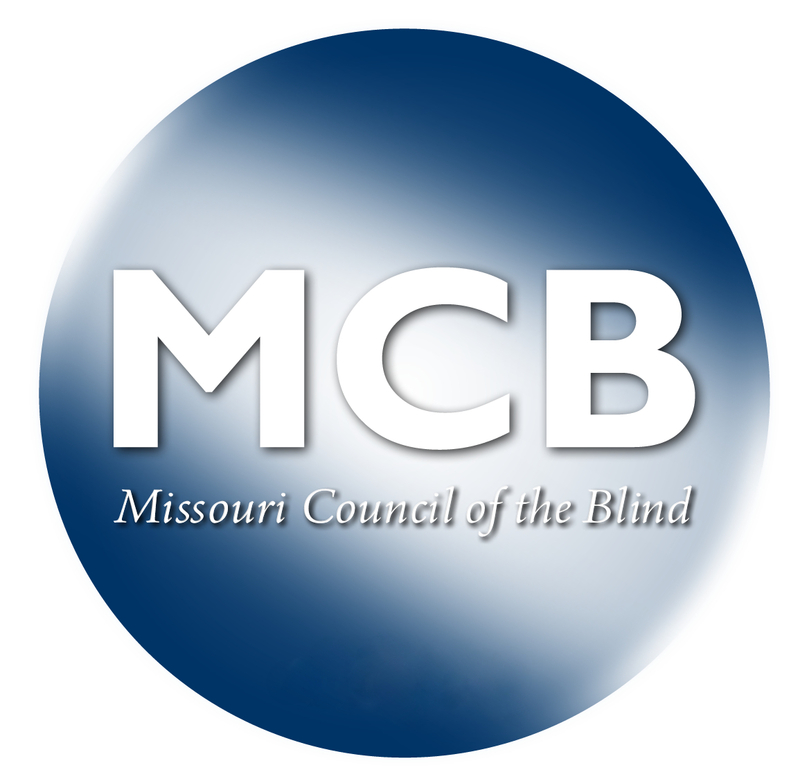 The purpose of Missouri Council of the Blind shall be to promote the general well-being of our members and legally blind people in Missouri, and to support or participate in other programs promoting the best interests of legally blind people everywhere.